The Oklahoma Humane Society, which owns two small lots in the middle of the block otherwise controlled by the city, was the only respondent. Architect is Butzer Architects and Urbanism. The following text and images are from their application. 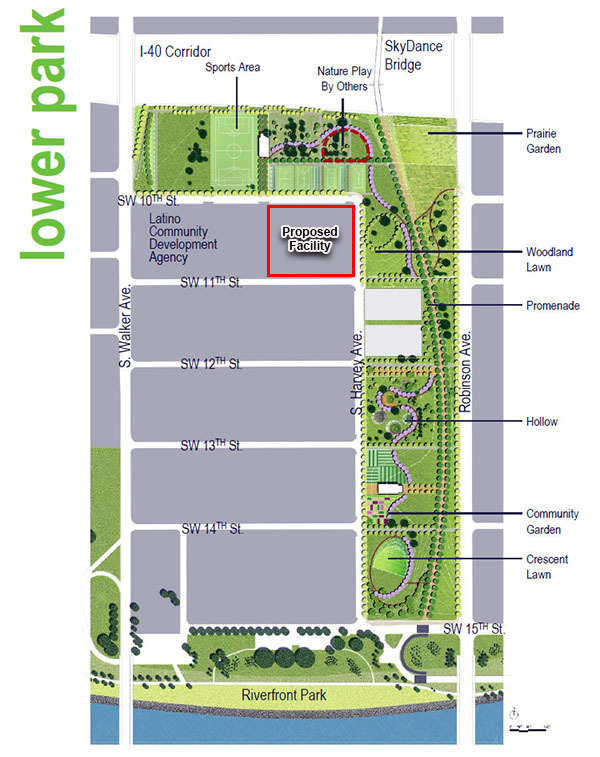 At its next meeting, OCURA is expected to formally approve this project and the final redevelopment agreement would ultimately require approval of city council. Where animals fare well, people fare well. In a recent study, Oklahomans listed strong animal cruelty laws as a top indicator of a good place to live.1 In his recent State of the City address, Oklahoma City Mayor David Holt noted that new facilities for animal welfare were among those items citizens of Oklahoma City said were important to them. Developing the prominent location at the corner of SW 10th and S Harvey Avenue into the new Oklahoma Humane (OK Humane) Campus will signify to community members and visitors that animal welfare is a top priority in Oklahoma City. 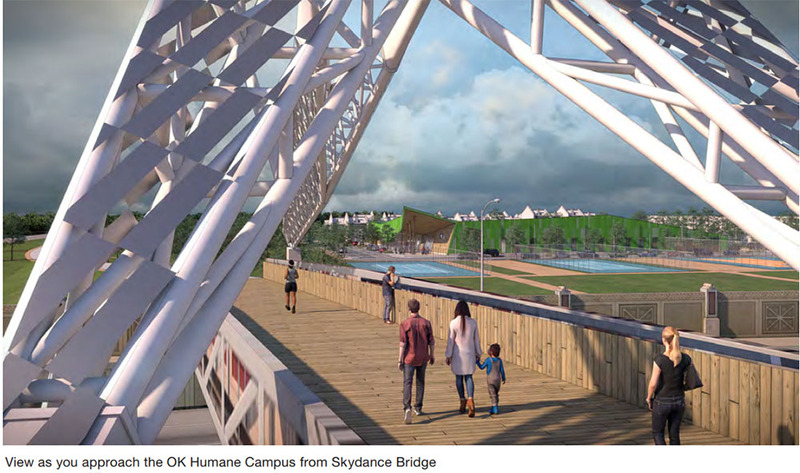 Conceived by a local yet nationally recognized and award-winning architecture and urbanism practice, the landmark and pedestrian-friendly architecture of the OK Humane Campus will be a destination in Oklahoma City. Its alluring public presence will attract attention to this emerging district, inspiring new development along lower Scissortail Park. 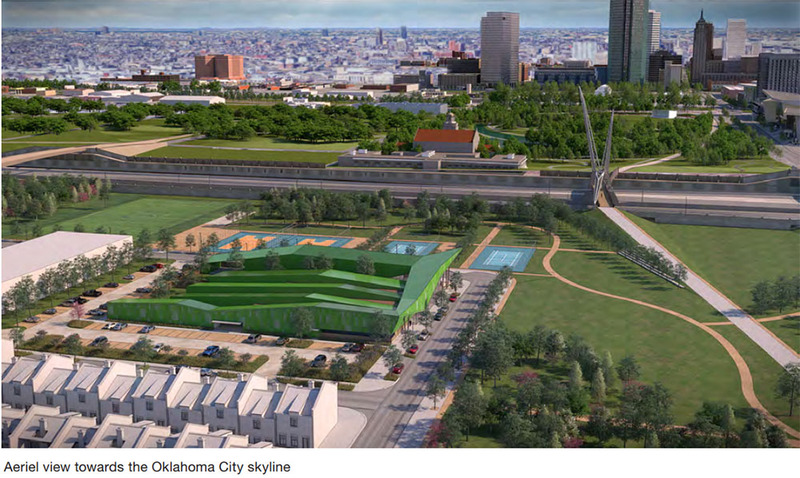 The OK Humane Campus will embody the Oklahoma City community’s commitment to the compassionate and respectful treatment of animals and will symbolize the energy of this city and the strong connection between Oklahomans, their animals, and the land. 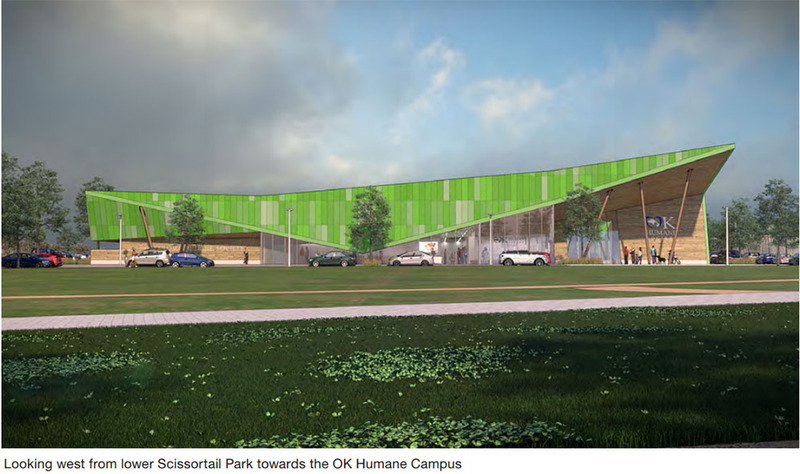 The new OK Humane Campus will not only provide a larger and healthier environment for the animals in our care, but will also significantly improve the experience of adopters, volunteers, and community visitors. 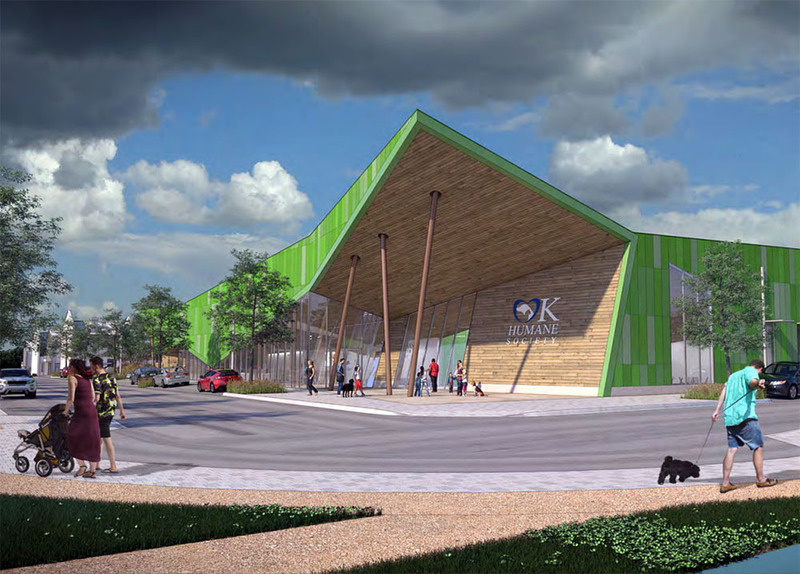 In addition to blending animal comfort with the adoption of pets, the new OK Humane Campus will provide the opportunity for robust community involvement, education, and enrichment for years to come. 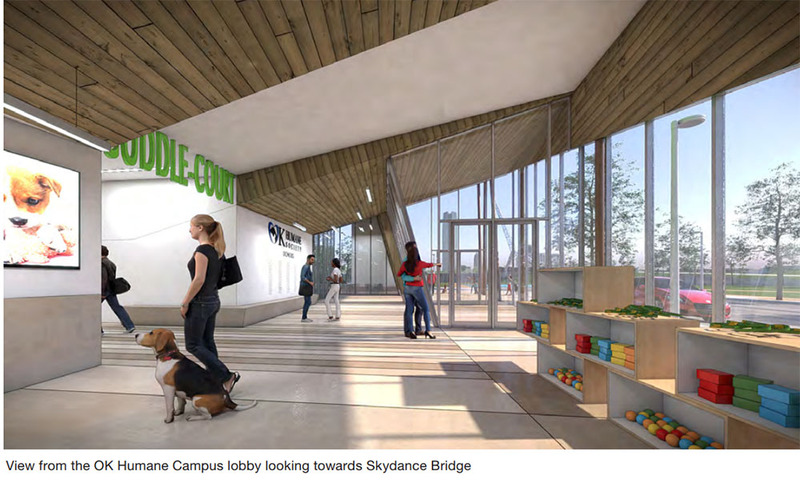 The new OK Humane Campus will serve the community with a civic forum for the “8 to 80” crowd, making it for everyone to enjoy. 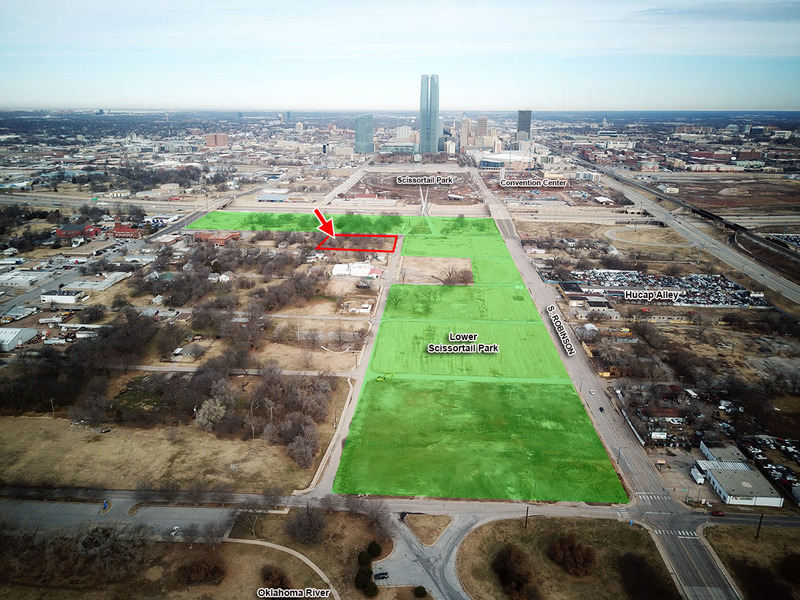 It is our aspiration that the OK Humane Campus and its varied uses be viewed as a happy partner to Scissortail Park and the adjoining neighborhoods. OK Humane has taken steps throughout the design process to address potential concerns such as odors and noise. OK Humane also intends to employ sustainable ecological design and innovative housing equipment and practices in an effort to be the best of neighbors. 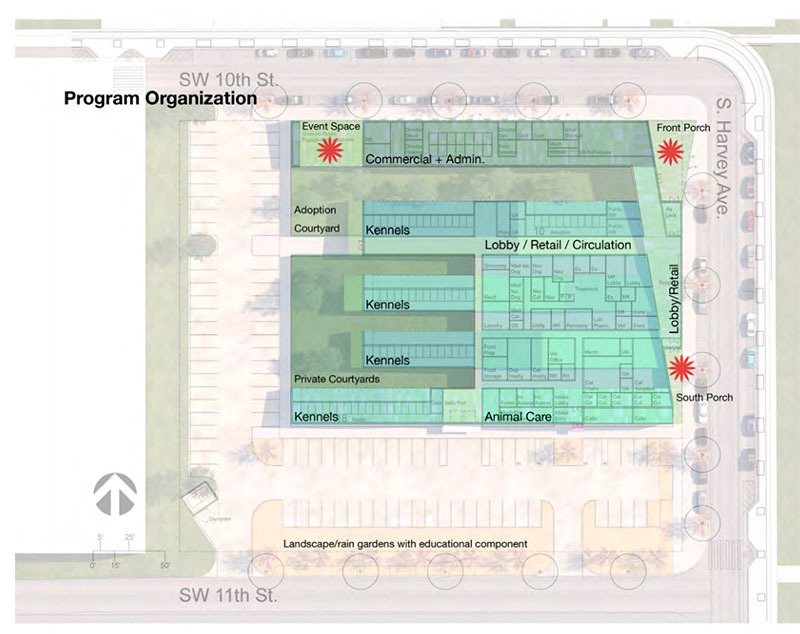 As this project moves from concept to reality, OK Humane plans to engage an owner’s representative with extensive experience to oversee all aspects of the development. 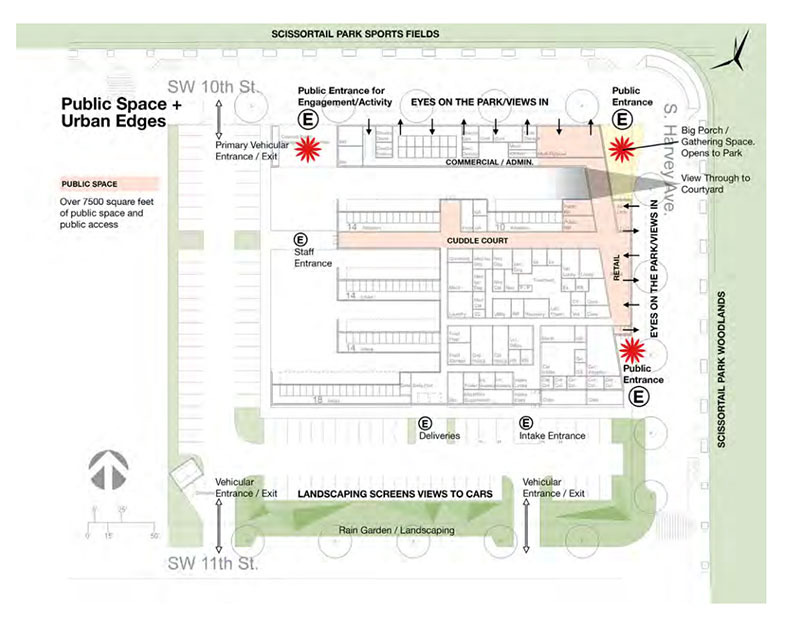 The proposed design of the OK Humane Campus encompasses the entirety of Block 8 of the South Park Addition to Oklahoma City, including lots 23 and 24 which are not included in the request for proposal. OK Humane, through its wholly owned subsidiary 23 & 24, LLC, has previously acquired lots 23 & 24 and, if selected as conditional redeveloper, will agree to subject those lots to the same covenants as the lots to be acquired from OCURA.